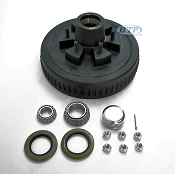 This category does contain a large amount of items, but start by selecting the correct subcategory to limit your search. 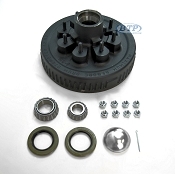 Below you will see Brake Drums, which you will only need if you currently are running Hydraulic Drum Brakes. 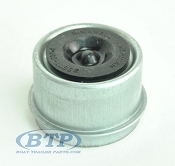 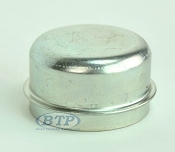 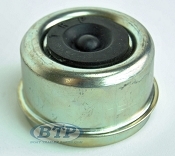 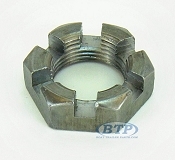 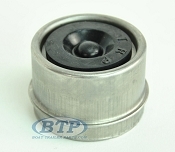 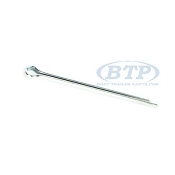 Boat Trailer Dust Caps, which essentially contains all types and styles of dust caps for installing on the end of your Trailer Brake Drum or Standard Hub. 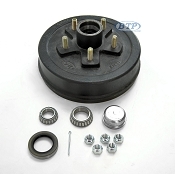 Then Galvanized Boat Trailer hubs, which is where you will find all the sizes and capacities of standard trailer hubs, also called Idler Hubs. 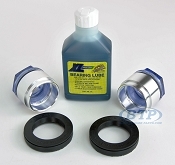 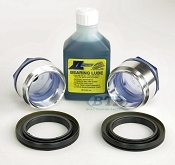 Kodiak Pro Lube Kits for making your Bearing and Hub assembly an oil bath system, instead of a grease system. 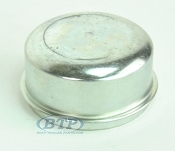 Stainless Steel does not rust! 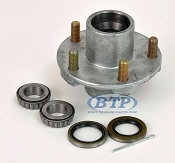 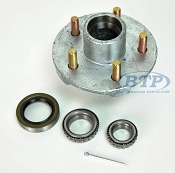 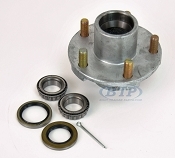 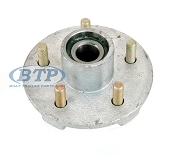 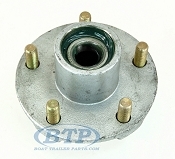 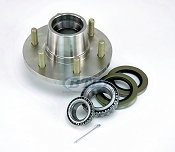 Pre Greased Trailer Hub Galvanized 5 Lug for 3500lb Trailer Axle 1 3/8" x 1 1/16"
All the parts we carry are specifically intended to be perfectly adequate for boat trailers of all brands and sizes. 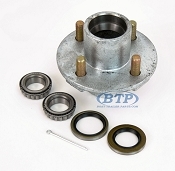 We have components for 4 Lug Hubs, 5 Lug Hubs, 6 Lug Hubs, and 8 Lug Hubs. 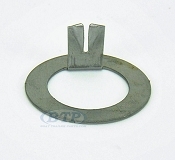 As you narrow down your search we will make sure you arrive at exactly the components you need.